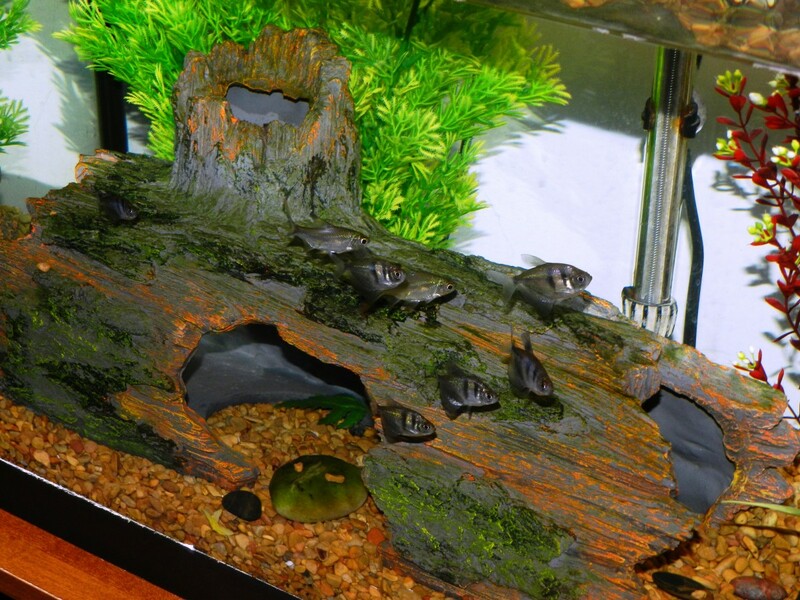 Regular water changes are the best thing you can do for your freshwater aquarium, but do them the easy way! The weekly water change is the most important thing you can do to make sure the fish in your freshwater aquarium remain happy and healthy. Unfortunately, it’s also a step that some aquarium owners tend to overlook. When life gets busy, fish-tank maintenance is often put on the back burner to be addressed later, or forgotten about altogether. Fish can die due to poor conditions, and you may end up feeling like this whole aquarium thing is more trouble than it’s worth. 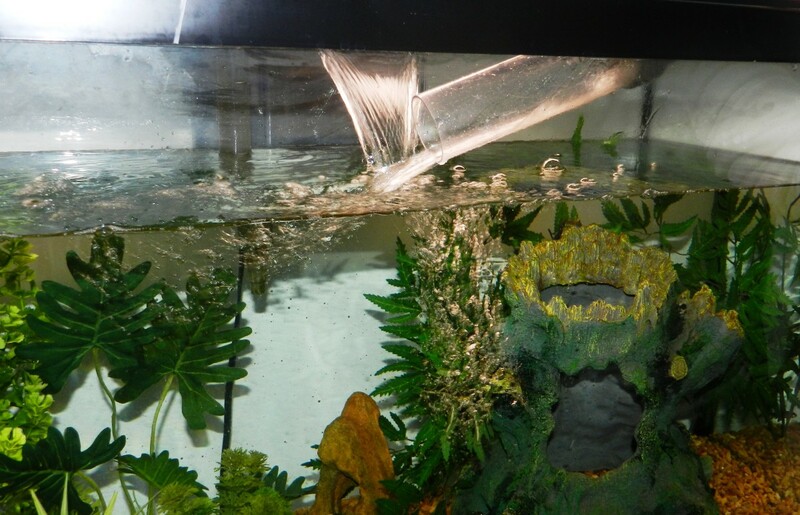 This article will cover a quick, easy and painless way to keep your aquarium water clear and healthy without spending an hour or more cleaning every week, and without spilling water all over your carpet. Remember that no aquarium out there requires zero maintenance but, with the right tools and planning, a lot of the hassle can be minimized. It’s a good idea to perform a deep cleaning of your tank about once a month, or at least every other month. This means taking out all the decorations (if you don’t have live plants) and cleaning them, dealing with any algae issues, cleaning the filter and vacuuming the gravel. But these cleanings are very stressful for your fish. A weekly water change doesn’t need to involve all of that, and can be relatively stress-free for both you and your fish. 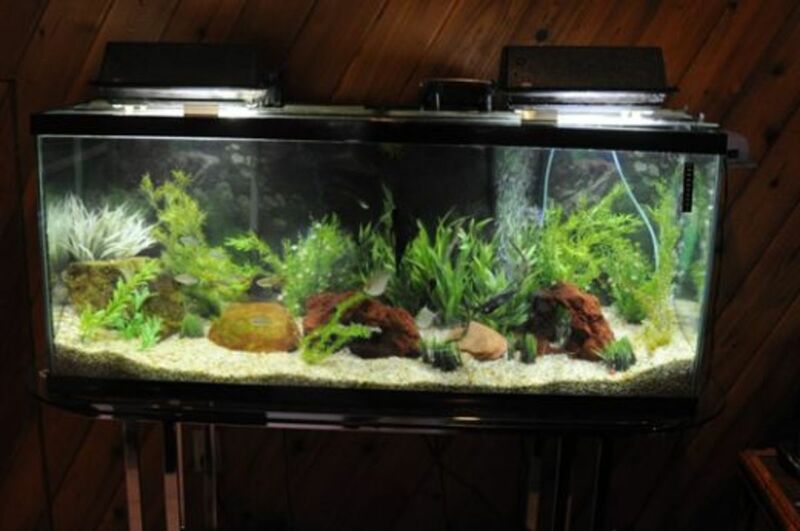 Keeping up with your fish tank maintenance schedule shouldn't be something you dread! If you have a small 10-gallon setup your weekly water change will literally take you minutes. You’ll need a small mini-siphon gravel vacuum and a bucket. 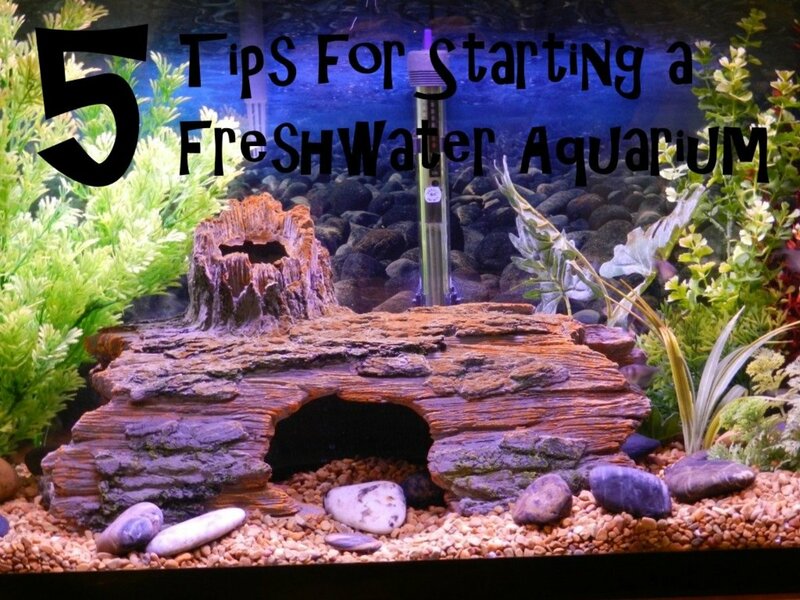 Note: Throughout this article I'll be using the Aqueon Aquarium Water Changer. This is the 50-foot model, which I prefer because of the way I drain the water (as explained above). However, there are shorter versions available if you don't need quite so much tubing. Water-change systems hook right onto your faucet for easy draining and refilling of your fish tank. We're not going to make use of the gravel-vac function for our super-easy water change, but you should use it when doing your monthly deep cleans. Water changes should always be partial water changes. Again, we're only going to take around 30% of the old water out of the tank. 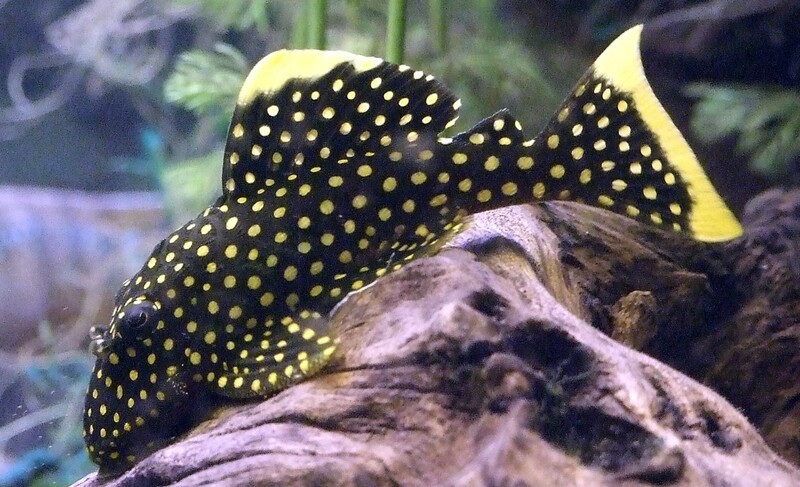 You should never replace all of the water in your aquarium at once. 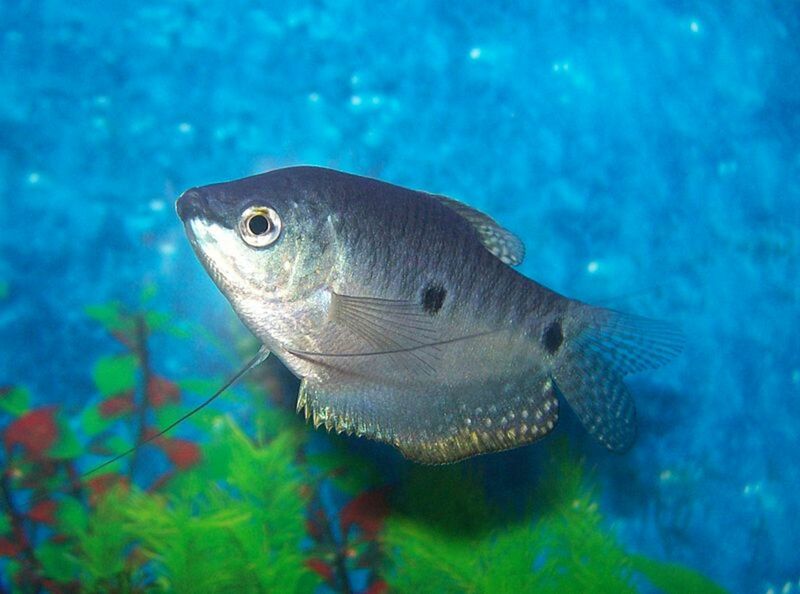 While water changes are healthy for the fish, very extreme water changes can actually cause them a great deal of stress and possibly even kill them. Water changes do not take the place of regular tank cleaning and maintenance, but they do help a lot when it comes to controlling waste in the tank, and even preventing algae growth. There is no need to remove the tank lid. You don't even need to turn your filter off as long as the intake is low enough in the water that it can continue to function. You do want to make sure your heater is low enough in the tank that a significant portion of the heating element is not sticking out when the water is drained to its lowest point in the process. As long as you secure the end of the hose in your tank, you can do something else until the desired amount of water is drained. Watch Out for the Little Fish! It will take a few minutes for the water to drain out and you really can't do much but watch. Be aware that the tank-end of the tubing may pop out on its own, so you may want to wedge it between decorations so it stays put. If it seems secure, while the water is siphoning you can go and do something else for a few minutes. However, if you have small fish in your tank you’ll want to keep a close eye on the open end of the tube that’s in the aquarium. Make sure they don’t swim up and into the tube where they can get stuck. Yes, it can and does happen! Healthy fish, even little ones, should be plenty strong enough to escape the pull of the siphon. The problem is, fish aren't very bright. The suction may cause little bits of debris to dance around inside the clear, plastic opening of the tube. Small fish may swim in chasing the debris and get stuck if you aren't careful. If you have little fish in your tank you'll want to keep an eye on them so they don't accidentally get stuck in the tube. Take the water level down only about 30%. Notice the filter is still running and only the top of the heater is poking above the low-water level. Refilling the tank with a water-change system is just as easy as emptying it. 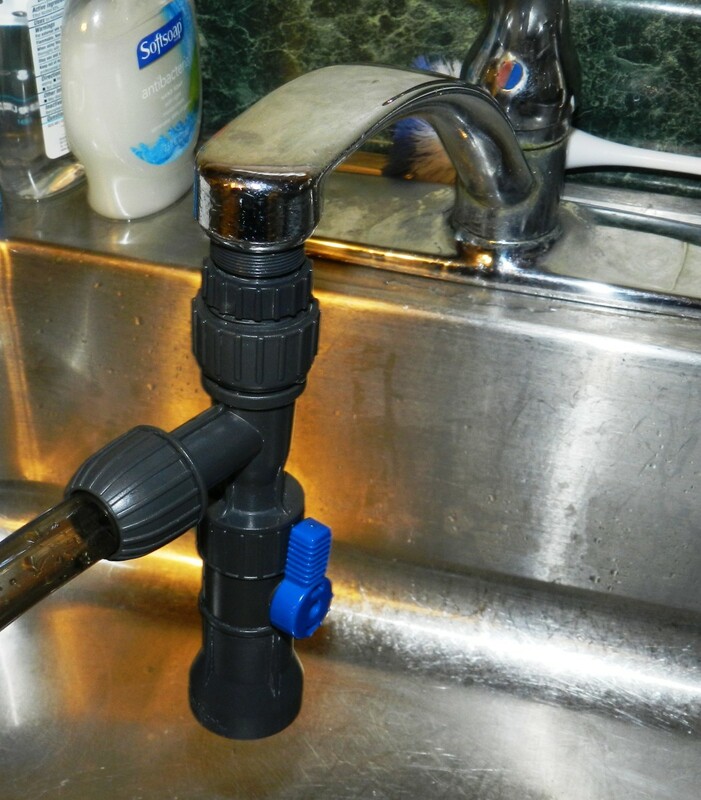 Make sure you have a strong connection between the tubing and the faucet receptor, otherwise water can burst everywhere. You will want to close the lever on the tank-end of the tube before going over and flipping the “fill” lever at the faucet. When you return to the tank, flip the tank-end lever back to open and the water will start to flow. Again, if you can secure the business-end of the tube in the tank you can leave it while you do something else. But don’t forget about it or you’ll end up with a flood! I use a timer with an alarm to remind myself, and, yes, I learned this the hard way. Fill the tank just to the bottom of the filter outlet to allow water movement without too strong of a current. Note: I get a lot questions asking why I didn't add dechlorinator or water conditioner at this step. That's because my water source is fresh, country well water water. It is somewhat hard, and thus naturally slightly high pH, but I've never used any additives or chemicals to adjust it. However, if you use a municipal water source or some other water supply that requires treatment you will need to treat your tank at this point. When you flip the lever, water will flow from the gravel-vac end just like a garden hose. One of the big questions when refilling a tank concerns the temperature of the water. Of course, tropical fish require temps in the mid-to-high 70s to be happy. But since you are only changing around 30% of the water you can get away with adding cooler water to the tank; there is no need to try to match the water temp exactly. I prefer to add cool water because of the way our water system heats water in our house. Cold water travels straight from the well to our tap, where hot water takes a lap through the water heater. I prefer my fish get the purest water possible so I try to avoid as much heated water as I can. Note also, there is a big difference between cooler water and cold water. Never add ice-cold water to your tank. For some fish species, a temperature drop of as little as fifteen degrees can be deadly. You might also notice that a burst of cooler water will invigorate some fish in your tank, and they may seem especially spunky after a water change. To them, a sudden influx of cool, fresh water simulates the start of the rainy season. 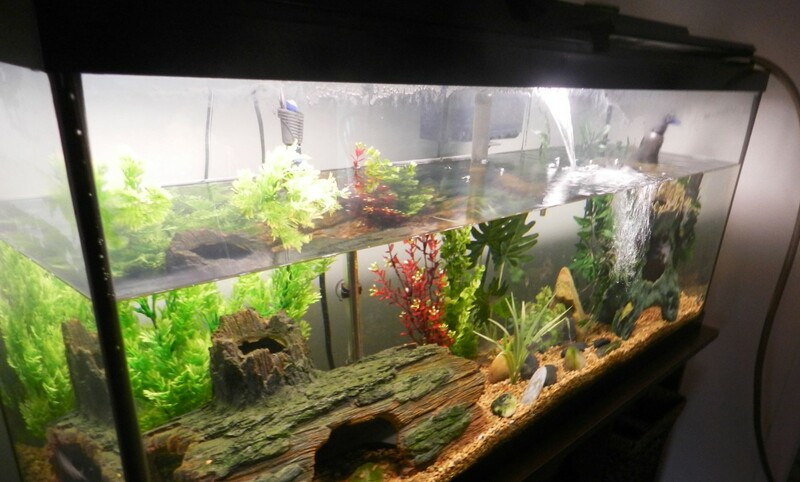 Weekly water changes do not take the place of monthly or bimonthly deep-cleanings of your tank. 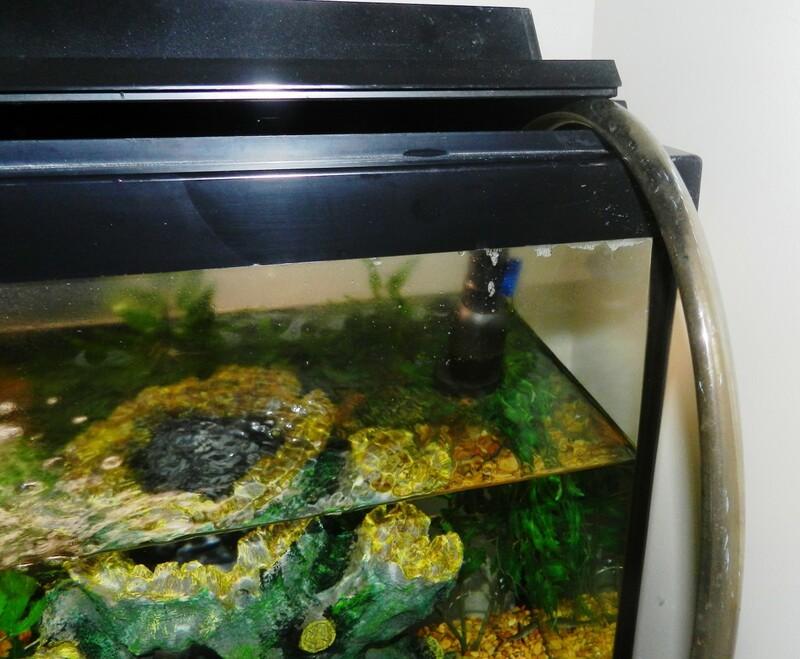 You still need to vacuum the substrate and get all of that waste out of the gravel, clean the sides of the tank of any algae buildup, clean your decorations to keep them looking bright and perform regular maintenance on your filter system. But these deep-cleanings can be stressful for the inhabitants of your aquarium, so regular water changes go a long way toward keeping your tank clean without freaking your fish out too often. The water changer is a great tool for making water changes quick and easy. Once you have a little practice you can perform the maintenance described in this article in as little as twenty minutes, and you can spend much of that time working on other household tasks while your tank drains and fills. No more carrying buckets around the house, and no more spilling water on your carpet! Taking care of a tropical aquarium does take a little work, but it’s always better to work smarter than harder. Using the right tool for the job will mean you’ll have less dread for aquarium maintenance, and can enjoy your tank more. Have fun, and here’s to many years of happy, healthy fish! Hooray! It's the rainy season! Third time this month! @Eric - Yes, If your water source has chlorine or other chemicals in it you need to add conditioner to new water you introduce into your tank. Do I need to add water conditioner for the ten gallon water change? @muscleguy32 - 30% is a number I've always used. It's easy to eyeball about 1/3 of the tank. If I have live plants I do smaller and/or less frequent water changes. I try to keep it pretty basic. Where do you get 30% from. Every other advice I've ever seen or used myself in more than 40 years of fishkeeping is 20%. I live in Scotland and our tapwater in the winter is COLD. This is a problem because cold water has more gases dissolved in it. If you mix cold water with warm those gasses can come out and in the form of tiny bubbles in the fishes' gills. It's the fish equivalent of the bends in human divers. The only time I would use a python style device would be if I also installed an RO water unit as the water out of that is slightly warm. After each water change I fill a 2G bucket with a lid (for my 10G tank) so it can warm up to room temp and de-gas. Since I run blackwater tanks it also enables me to add tannin producers to it and let them soak for a week. Also remember a tank may be nominally 10G but remember your Archimedes principle, all that gravel and driftwood and all those plants etc take up volume. So my nominal 20% becomes closer to 30% in terms of the water volume. But it is safer to to the calculation on the nominal volume of the tank since the amount of added stuff varies. @Whitney - I have never seen one like that, though I've often thought it would be a great idea. Are there any versions of these syphons that would work with a retractable sprayer style faucet? @Susan - Unless you are getting the gravel from nature there is no need to boil it. Aquarium gravel from a fish store should only need to be rinsed. That tank is too small for one betta let alone two, which is likely why you lost a fish. 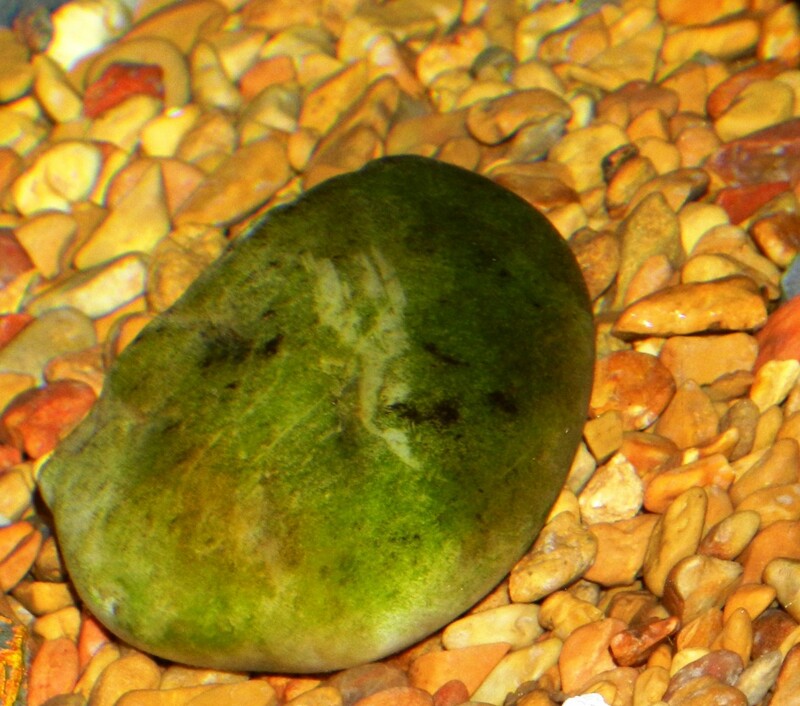 The film is probably algae, which can thrive when there is excess food and/or waste. I have 2 Bettas in the same tank with a divider. I condition the water and clean the tank completely every couple of weeks. It's a 2.5 gallon tank with a filter. However, i notice a real gross rust color film on the walls of the tank. I even boil the gravel in hot water to sanitize and clean the gravel. 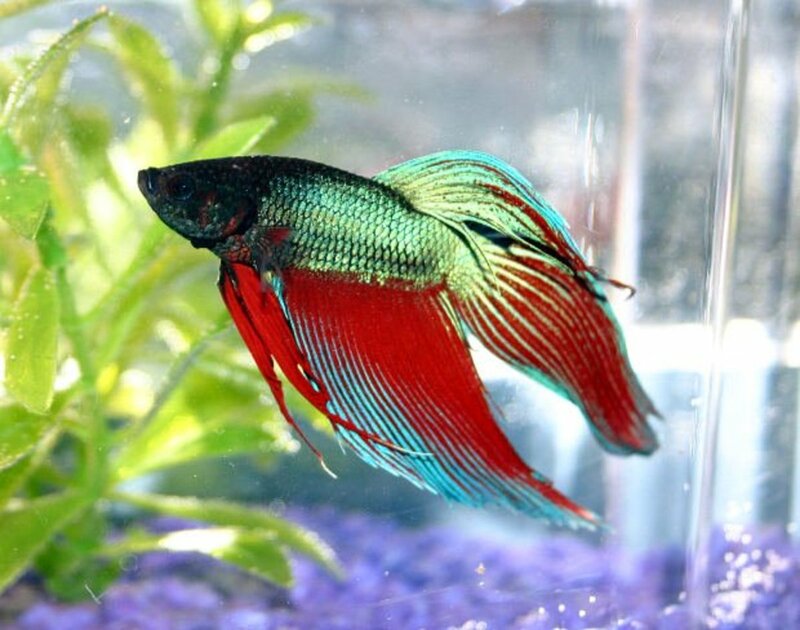 I recently had what appeared to be a very healthy Betta die. What is causing this? @Linda - I don't know if it presents any specific health concerns, but it is pretty gross. I wouldn't do it. That strainer touched all kinds of nasty stuff decaying in the rocks, including fish waste. Another reason I wouldn't do it is for the health of the fish. Washing their utensils in dish detergent presents the possibility of introducing contaminants into their tank. Not good. For the safety of humans and fish it is a smart to have a separate set of tools for fish tank use. He can make sure the items he uses are safe for the fish, and the humans in the house can be sure the strainer that just prepared their pasta hasn't touched fish waste. My son uses a strainer to catch the rocks when he dumps the water out of his small fish bowl. He then washes the strainer and uses it for family uses. Is this healthy? Performing water changes without a siphon is tricky. You'll have to scoop it out with a cup or bucket. It is a good idea to find a way to get a siphon, though. 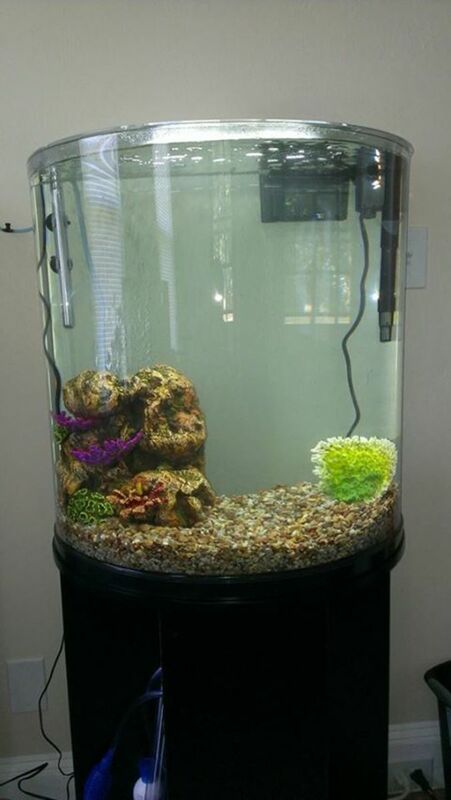 Not only is it easier, but vacuuming gravel periodically keeps the tank much cleaner than simply changing the water. Hi Melissa. I don't like using chemicals either, unless it is absolutely necessary. Since you said your fish are healthy, I don't think you are at that point yet. I would carefully remove the plants from the pot. You may want to cut them out so you don't tear up any of the roots. And yes, they will grow in gravel. If you buy the kind of plants with roots that come in that jelly-like glob stuff you want to make sure you rinse all of that away before planting. Typically that kind of plant does not come in a pot. Hi thank you for replying. I do about a 20% change. No I haven't tested the tap water itself I will do that and let you know. There is just two small fish in the tank. I will get some live plants when I go to the pet shop next. Will the plants be ok in a gravel tank? Is it best to plant them or leave them in their pots I really appreciate your help. I went to pet shop and they wanted to sell me some chemical to remove the ammonia I don't like using chemicals in my tank so I didn't buy that. It's only showing up slightly on the ammonia strip reading just 0.25. I use the liquid testing strips. Hi Melissa. First thought: Tap water itself can sometimes contain ammonia. Have you measured the readings for your tap water and compared them with what you are seeing in the aquarium a few days after a water change? This will help you diagnose whether or not the problem could be the water source itself. Other thoughts: Your tank could be overstocked. Or, the water changes you are performing are too large and frequent and it is negatively impacting the beneficial microbe colonies in the tank. If you don't already have live plants consider adding a couple. 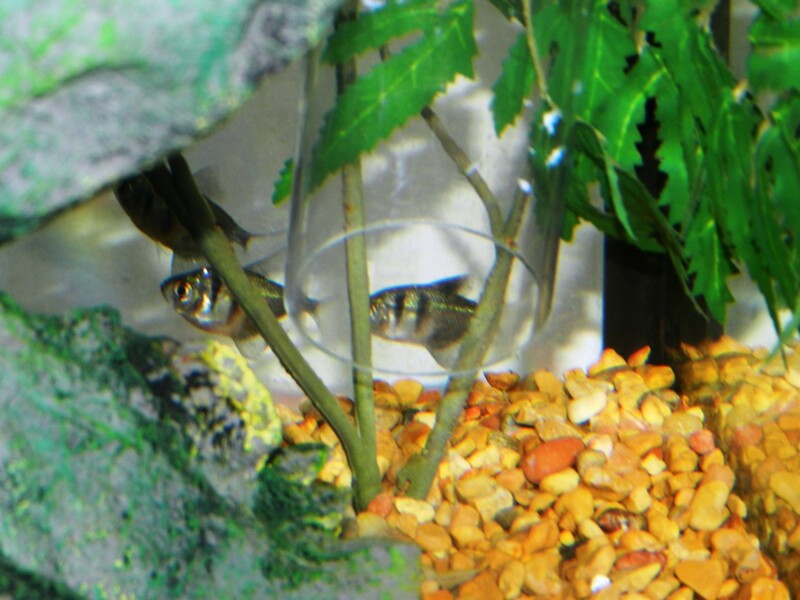 They can help with ammonia levels, particularly if the tank is slightly overstocked. You didn't mention the percentage water change you do every week. I wonder if you reduced the amount of water you are changing or switched to every-other week this would help with your microbe colonies. Obviously you'll want to monitor your water parameters closely as you experiment with different ideas here. Good luck! I know it is frustrating but at least your fish don't seem to be suffering from whatever is going on. Hi, I always seem to have a small amount of ammonia in my tank. I do weekly water changes I Let the water sit overnight with tap safe before I use it. I just can't seem to get the ammonia down. All my other levels are spot on. I siphone the gravel. My fish are really healthy but worry as I know even a small amount can harm them. It's a 90 litre tank. Any advice on ammonia? Hi Chris: I'm sorry, I'm afraid I don't know much about caring for turtles. It seems a water changer/gravel vac would work fine, just like in a fish tank. As for watering the plants, I don't hook up the water changer to an outside spigot. It's long enough that I can run it out the door to the plants on my deck when I am draining the water. This might not work for everyone, obviously. Good luck! Hi. My daughter has a turtle tank and was wondering if this system would be good to use in the tank we have. 55 gallon tank. Oh and you say in summer you water your outside plants. Do you attach this to an outside spigot? Hi Madalynn. You do not need a gravel vacuum just to change the water. You can use a tube as a siphon, or even just a bucket to remove water from the tank and replace it. However, gravel vacs are much more convenient and easier to use, and you can clean the gravel as you change the water if you wish. Do you need a gravel vacuum to change the water? I agree tanner. That's one of the reasons I use the hose as a simple siphon rather than of doing it per the directions that come with the water changer. I don't leave the water running the whole time. This is a good idea, however, I think that this is a HUGE waste of water being that the water is running while your cleaning the tank. Hi Chris. Personally, I don't add anything to my water, since it comes from a well. If you are using municipal tap water you should consider adding something to handle the chlorine or anything else that might be in there. My philosophy it always to add as few chemicals as possible, so only use what you really need. Yeah Marion, it really changes your life when you realize these water changers exist! No more carrying buckets and getting the floor all wet. Everything is super easy, even for really big tanks. Thanks for reading! I didn't know the water to sink changer tool existed. 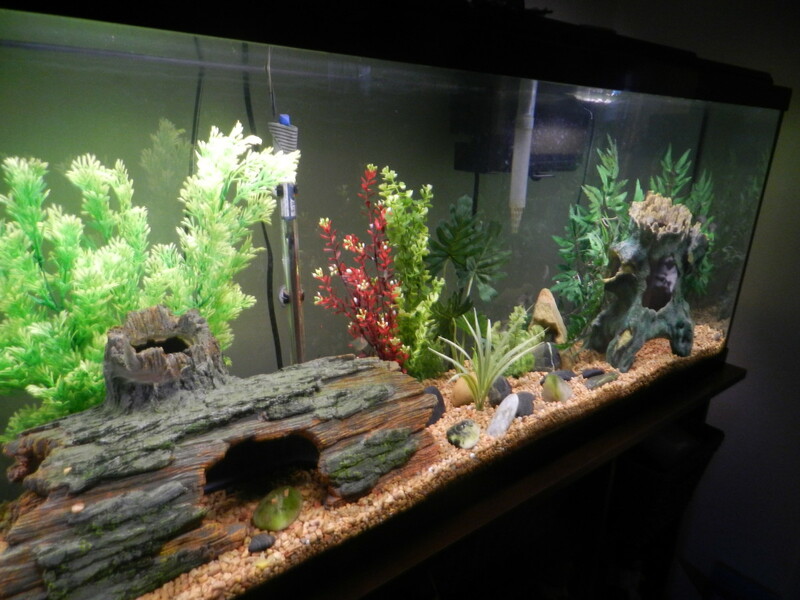 Have had a number of freshwater tanks...enjoyed the bigger ones more...cleaning seemed to take the same time and the bigger ones stayed cleaner longer. If I ever opt in for the 100 gallon tank I gotta look into getting one of those tools! Thanks for writing. Hi Nate. Fortunately that's not a problem I have to face, since I use well water. What you can do is gradually add the dechlorinator to the inflow of the water as the tank refills. You can dose the whole tank volume, not just the water you're adding. Hope this helps! What about dechlorinating your water when your filling the tank back up using this method? Quite helpful, thank you! Thumbs up!! Thanks. Very helpful. Yes, local fish keepers is a good idea. It's not midsummer yet, and last time I did a water change it came out at 93 degrees. My only idea was to fill a bucket and let it sit for half a day so it's at room temp. Then I would use another bucket to drain the old water and make the change immediately. Sure would be nice to make one of these simple systems work. Thanks for the suggestions. I like the idea of ice bottles as an alternative for now. Hi Elliot. This is indeed an issue, as 100 degrees is too warm to add directly to the tank. I can think of a few creative suggestions, like perhaps carefully offsetting the warmth of the water with ice packs (frozen plastic bottles filled with clean water) but maybe there is an easier way. Id start by calling or visiting a local aquarium shop and asking them if they have any advice. If 100-degree tap water is common in your area, I'm sure they've had the question before. Good luck! What if the tap water comes out hot all the time? I live in AZ and in the summer the tap water from the cold faucet can be nearly 100 degrees. Thanks moonlake! I did the bucket method for a long time before I decided to get one of those water changer things. Way easier! I loved my aquariums when we had them. We changed the water pretty much the way you changed yours. Now we have just two gold fish and a beta. Their little bowls are pretty easy to change. 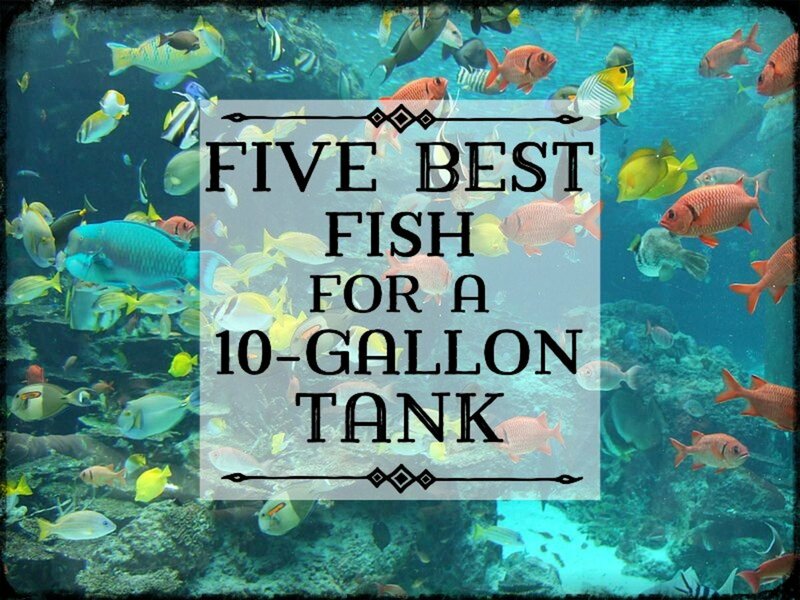 Good information and your tanks look great.